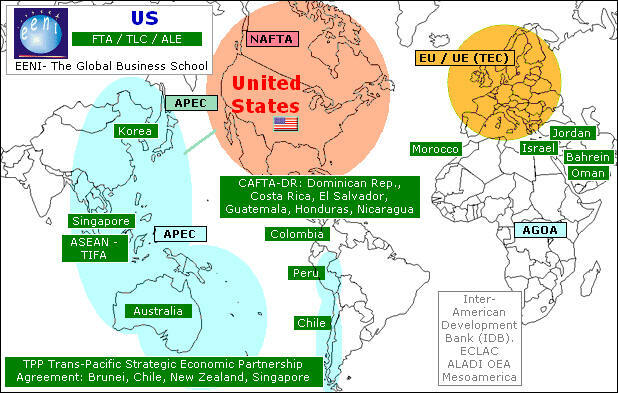 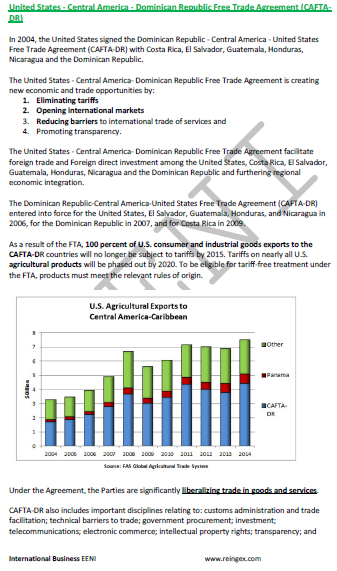 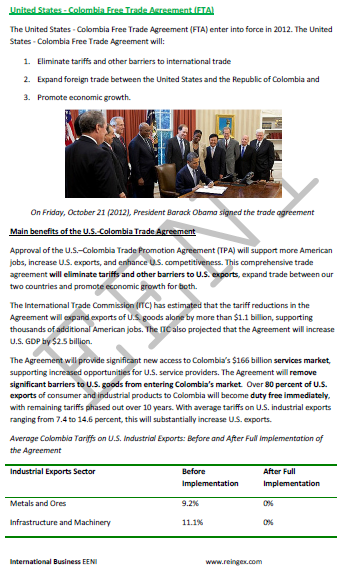 To analyse foreign trade between African Countries and the U.S.
Foreign Trade between the countries of the WAEMU and the U.S.
Introduction to the Agreement on foreign trade and investments between the East African Community and the U.S.
Foreign Trade between the countries of the EAC and the U.S.
Free Trade Agreement between Chile and the U.S..
Foreign Trade in Goods and services between Chile and the U.S.
Chilean Investments in the U.S.
Foreign Trade and investment flows between the Central American countries (Costa Rica, El Salvador, Guatemala, Honduras, Nicaragua) and the U.S.
United States-Australia Free Trade Agreement. 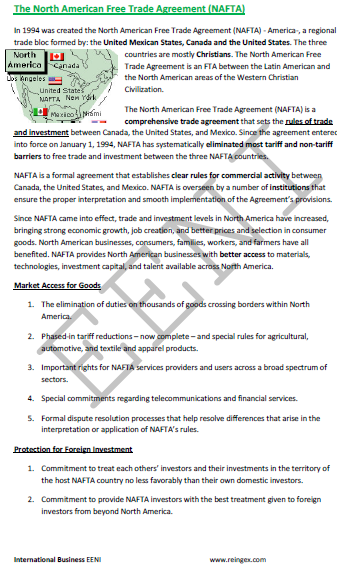 Introduction to the Trade and Investment Framework Agreements between the ASEAN and the U.S.
Trade relations between the European Union and the U.S.
United States-Bahrain Free Trade Agreement. 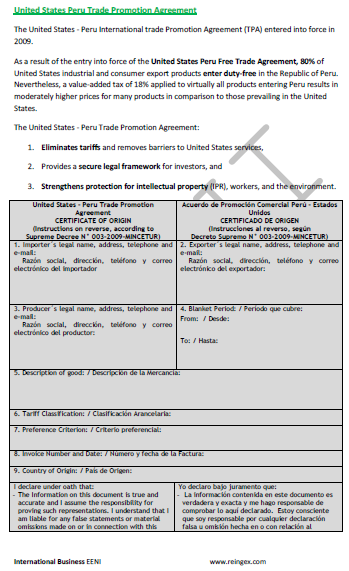 United States-Oman Free Trade Agreement. 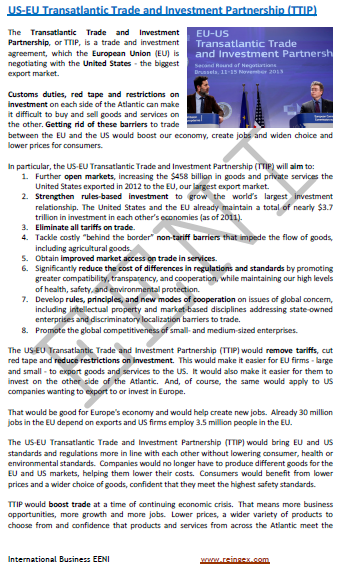 United States-Israel Free Trade Agreement.